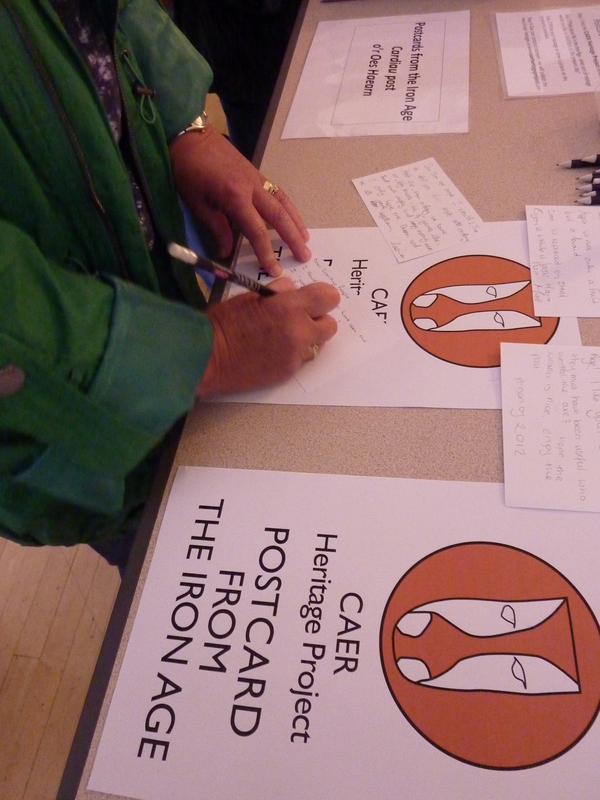 Paul Evans and Becky Smith led this drop in activity during the CAER Heritage Project exhibition at St Fagans on Monday 18th June. 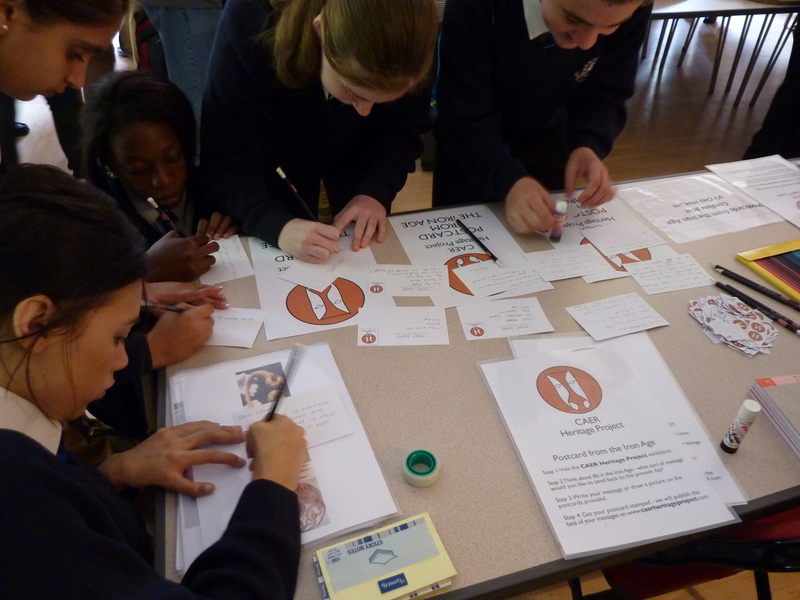 Visitors were asked to write a postcard from the Iron Age to the present day (or from the present day to the Iron Age). I like the round houses. They’re just like our houses but smaller and much colder!! I can’t wait to come back home. The food portions are the same that we give to our dogs. I have buried a rather nice drinking cup in my round house, maybe you will be able to find it! Central heating is a fantastic invention, better than fires. Do you have wine yet? The weather does not improve. The current queen is pretty great, look forward to that. Have fun. I would like you to have seen our IT “Google” systems today! I like your axes and swords! More Postcards from the Iron Age to follow soon!